LOL. IDK. IRL. These are acronyms you probably know and use on a regular basis. They’re just a part of your everyday vernacular. But the 2018 Winter Olympics introduced us to a new acronym we hadn’t heard of before. If you watched the Parade of Nations during the opening ceremony, you probably wondered what “OAR” meant. Not oar, as in something you steer a boat with. But OAR, as in the OAR athletes. The OAR athletes carried a flag displaying the Olympic rings rather than that of a specific country. And unlike Team USA’s fashionable and functional Olympic uniforms, OAR wore pretty generic attire with white scarves and hats and gray coats. So, what does OAR stand for? Who are the OAR athletes? No, your social studies teacher didn’t fail you. This isn’t some country you’ve never heard of. 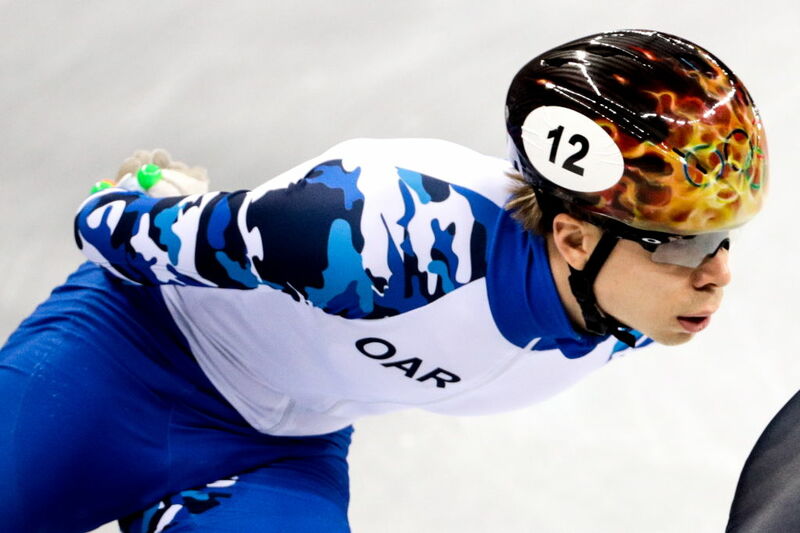 You actually have heard of them before: OAR stands for “Olympic Athletes from Russia.” Russia was banned from competing in the 2018 PyeongChang Olympics after a doping scandal at the 2014 Sochi Olympics. After a three-year investigation, the International Olympic Committee determined there was a state-wide anti-doping system in place. (Russia denied the allegations.) So while Russia was technically barred from competing in the 2018 Olympics, a loophole allowed select athletes to compete, as long as they proved they were clean. Less than 175 Russian athletes are competing as OAR athletes in PyeongChang (compared to 232 athletes in Sochi). There are a few stipulations to being an OAR athlete. Restrictions include not marching under Russia’s flag and not using the country’s colors. Additionally, if the OAR athletes medal in any sports, the Olympic theme will be played during the ceremony instead of the Russian anthem. And wins won’t be counted toward Russia’s medal count. And just to clarify: No, rock band O.A.R. is NOT competing at the 2018 Olympics. The games are already off to an interesting start.